IC Diamond is truly an outstanding thermal product with the combined attributes of ultra-high performance and high durability. 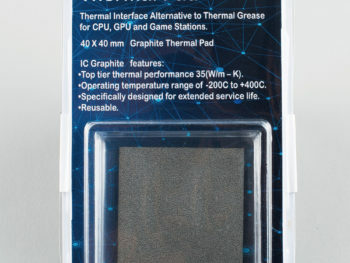 IC Diamond lasts 3X-4X longer than your typical retail compound. On independent tests and reviews by over 900 over clockers on 24 websites, IC Diamond out performed all previously installed user compounds. 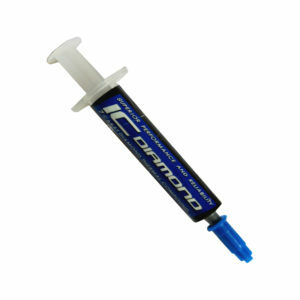 IC Diamond 7 Carat Thermal Compound maximizes thermal heat transfer between the CPU core and heat sink by taking advantage of diamond’s superior thermal conductivity. 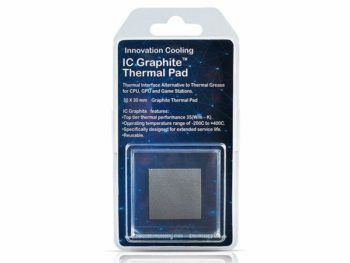 Diamond’s five times better thermal conductivity compared to silver makes it a superior heat transfer material for cooling high performance CPUs and is electrically non-conductive and non-capacitive. 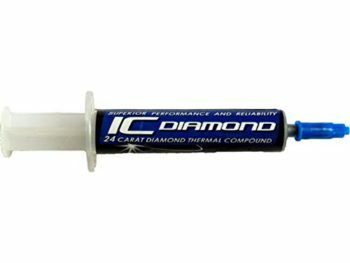 Each tube of IC Diamond Thermal grease contains 7 carats of micronized diamond with diamond particle loadings @ 92% by weight. Material loading above 90% is recommended as the best combination of rheological and thermal properties to minimize interface pump out due to thermal cycling. 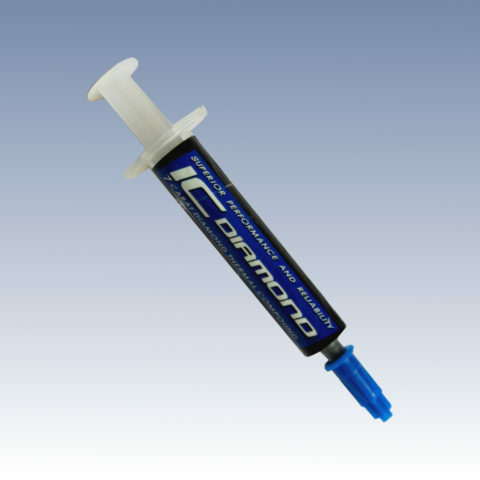 Stability: IC Diamond is designed for stability – it will not bleed or separate in normal use. Refer to Product Label and Material Safety Data Sheet for Health and Safety Information before using this product. To request additional product information or to arrange for sales assistance, call Innovation Cooling Service at 203 732 5312. Address correspondence to: Innovation Cooling, 350 East Main Street, Ansonia CT. Available in unlimited quantities. 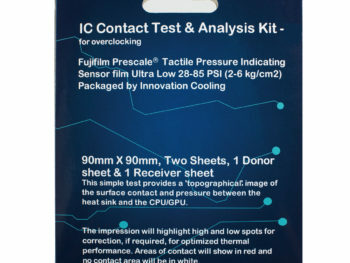 Purchase IC Thermal Compound Direct.